We all love the cats don’t we, the majestic lions, the graceful cheetahs and the elusive leopards. 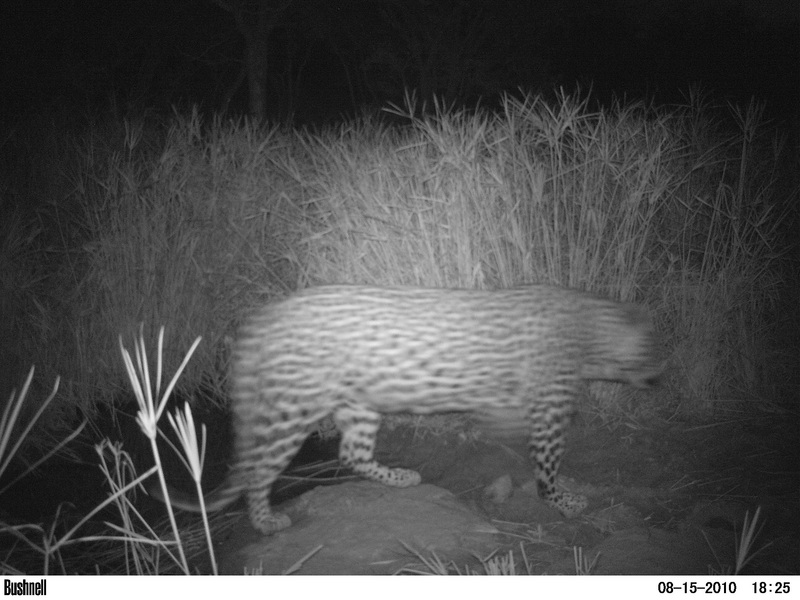 There is something about getting one of these cats to ID on Snapshot Serengeti that makes you feel you hit the jackpot. Then there are the elephants, buffalo and giraffe ‘the big guys’. Lions for instance always get the most ‘likes’ on our facebook page. Let’s not even talk about wildlife documentaries; they always manage to star ‘the big guys’, the crowd pleasers, elephants, tigers, lions, whales. So what about ‘the little guys’? When was the last time you saw a documentary on aardvark or civets? It seems that the documentary makers don’t think we want to see a whole hour on these little guys. Most people know that lions live in prides and that when a new comer ousts the dominant male he will kill any young cubs. They also know that thousands of wildebeest migrate through the Serengeti, preyed upon by lions, hyena and crocodiles. Who knows how many offspring aardvark have at one time? Or who knows how far a honey badger will walk in one nights foraging. They are fascinating to say the least these smaller mammals and they are totally deserving of their own starring roles in documentaries and the media. 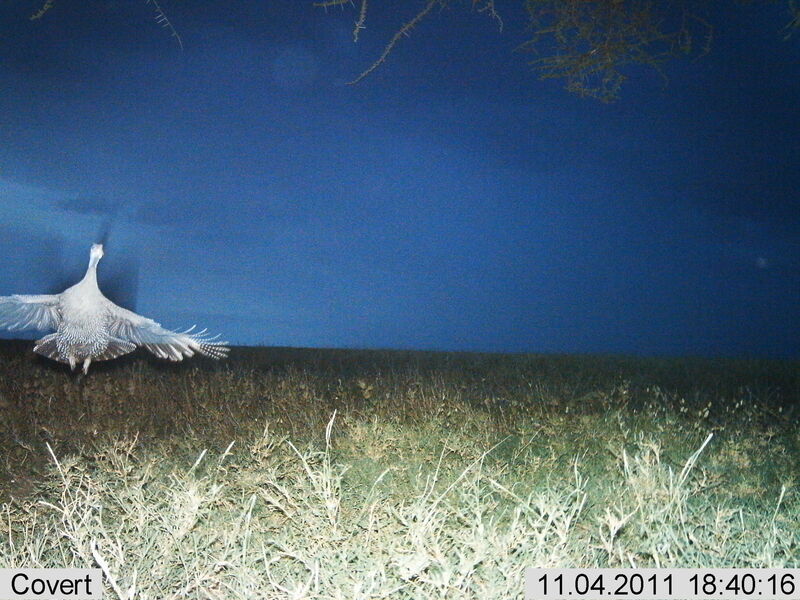 Luckily for us they do appear regularly on Snapshot Serengeti’s camera-traps. 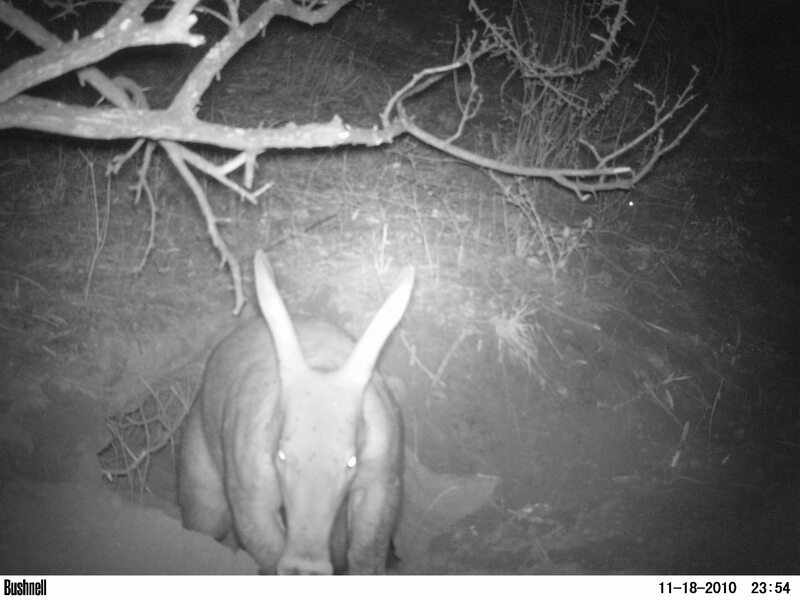 Next time you get a porcupine, serval or aardvark stop and think what you know about them. Zorrilla — a rare find! For me one of the most fascinating small mammals is the sociable mongoose. 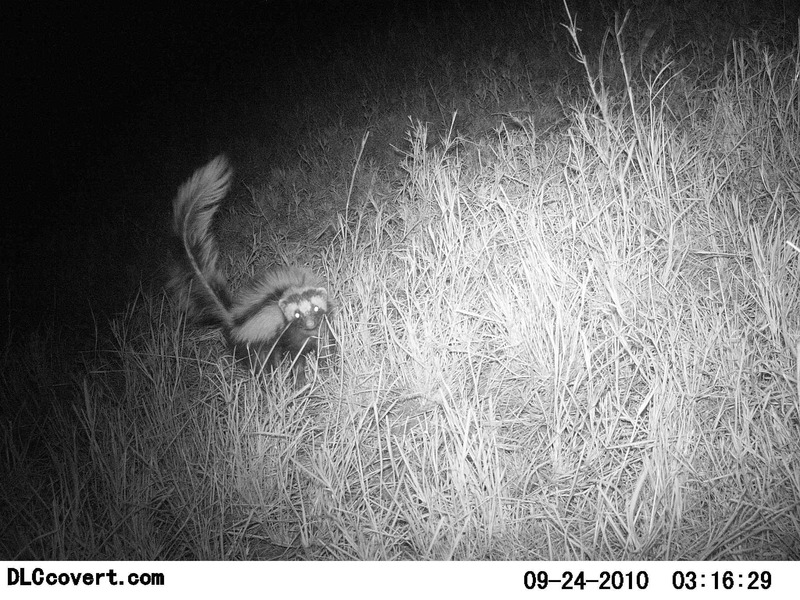 On the camera-traps they are usually banded mongoose or dwarf mongoose. These guys bustle around all day risking ground based and winged predators. They have complex social lives that find them forever challenging each other of reaffirming bonds. To put it simply they are busy animals. 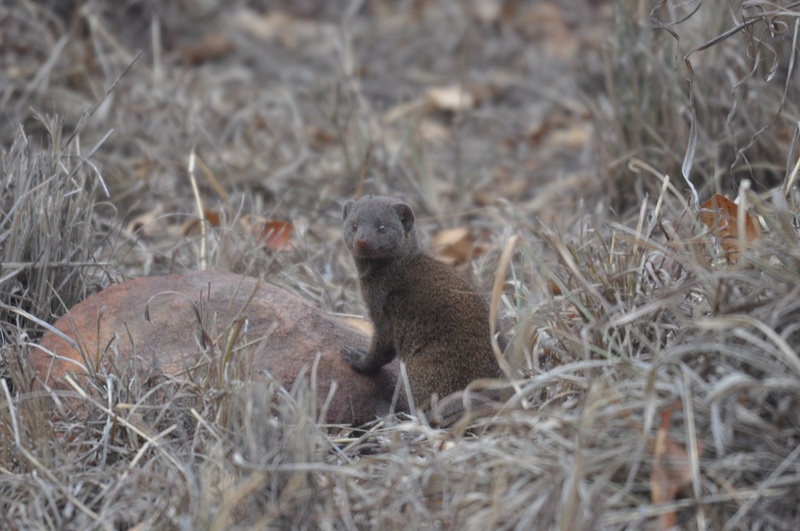 I once had the pleasure of a very close encounter with a group of wild dwarf mongoose. One super hot day I was ambling in the bush checking out camera trap spots, following game tracks, looking for likely spots when I came across a beautiful shaded clearing, not very big, a few meters in diameter. 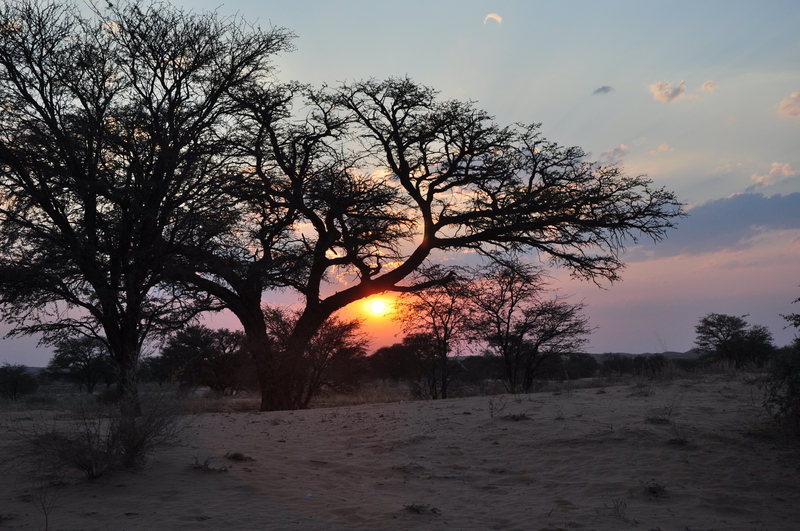 I decided to sit awhile and cool down so propping my back against a boulder and stretching my legs out I sat quietly listening to the sounds of the African bush. 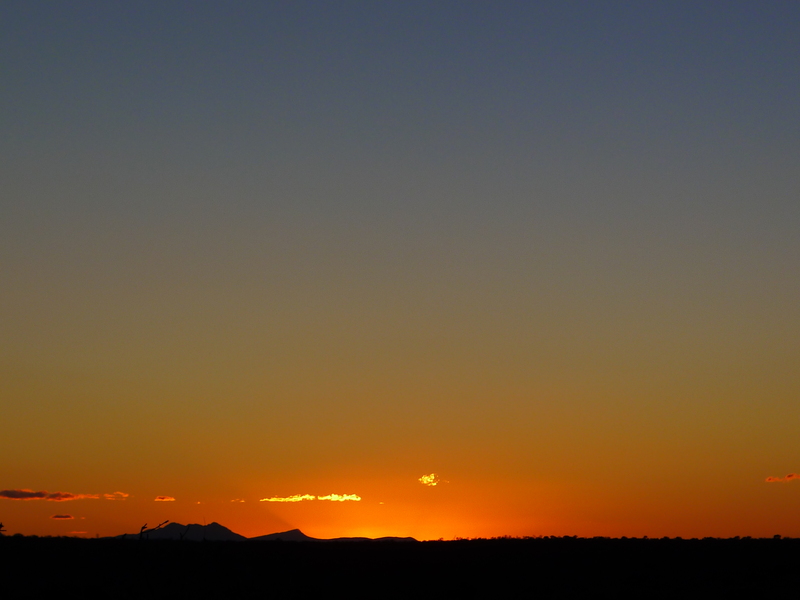 A sudden black flash and a drongo had flown into the opposite side of my refuge. Now these birds are adept at following mammals and catching any insects scared up by them so I was curious to see if anything else would arrive. Sure enough a rustle in the dry grass and here popped a dwarf mongoose into the clearing. The diminutive creature was followed rather noisily by about 10 or so more of its group. They fanned out each their own direction and immediately started searching for anything edible. I kept very still and tried not to breathe too much until one of the younger mongooses was sniffing my boot. A second scrambled right over my leg and I was entranced. Then the wind must have changed or an adult must have realised the strange rock might just be alive because a squeal was uttered and the whole group scarpered in one direction their drongo with them. The whole episode lasted about 6 or 7 minutes but it has endeared me to these ‘little guys’ for ever more. Trying to discover how many individual leopards used a reserve in South Africa was challenging work in more ways than one. 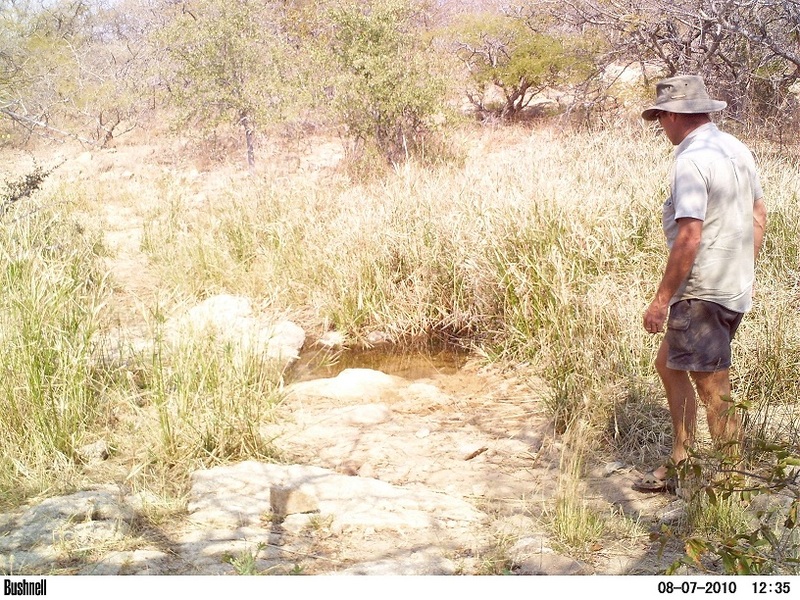 Unlike the Serengeti Lion Project’s (SLP) 200-odd camera traps, I could count ours on one hand. That said the study area was much smaller at around 2,500 hectares. The technique was also very different. 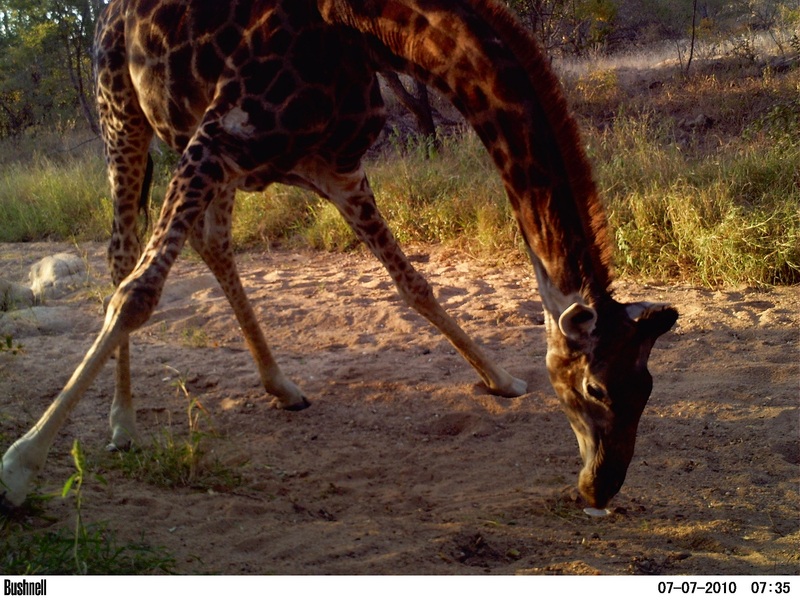 Whereas the SLP is trying to get a snapshot of animal interaction over a vast area I was interested in individual animals, so setting the camera traps up systematically on a grid basis was not the best option. 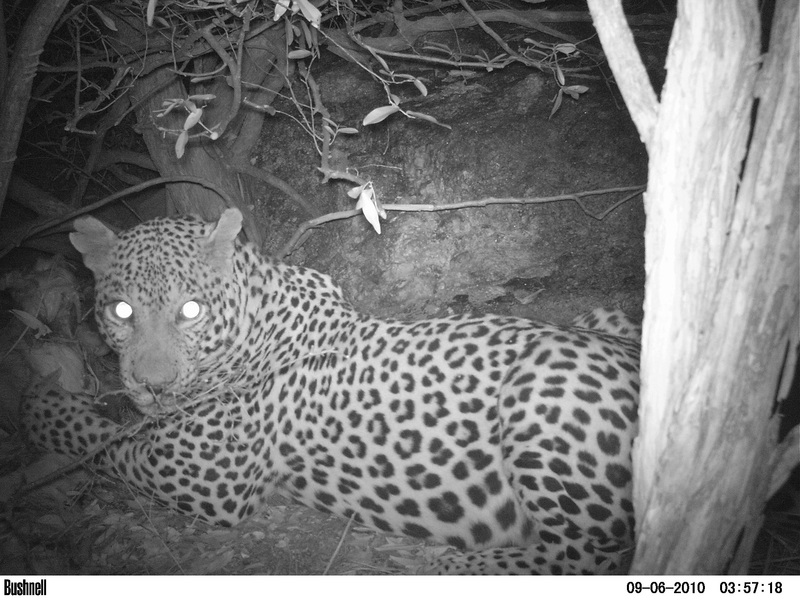 Instead, to make best use of our limited camera traps, I selected sites that I thought a leopard was most likely to pass. These sites fell into two categories, the survey sites and the random event sites. 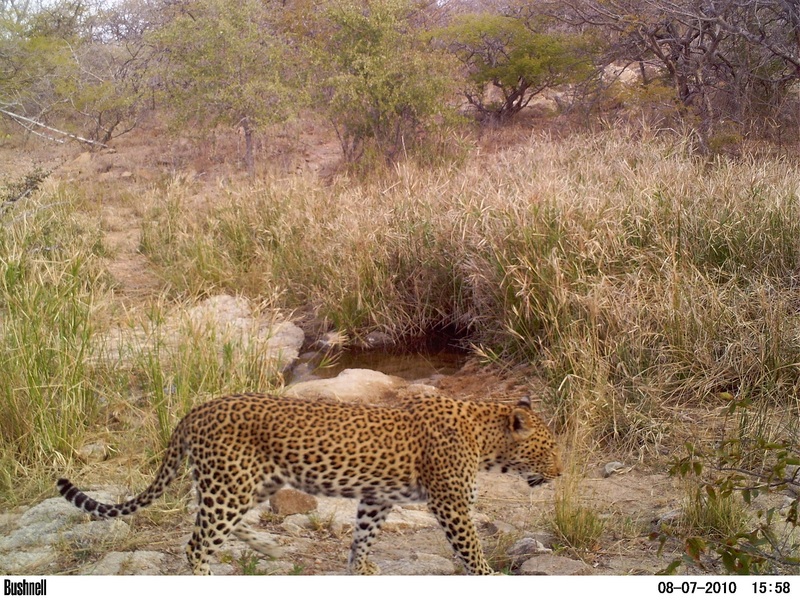 Based on recent tracks and scats on game trails and roads, the cameras were moved around the reserve on a regular basis in an attempt to survey the whole area. 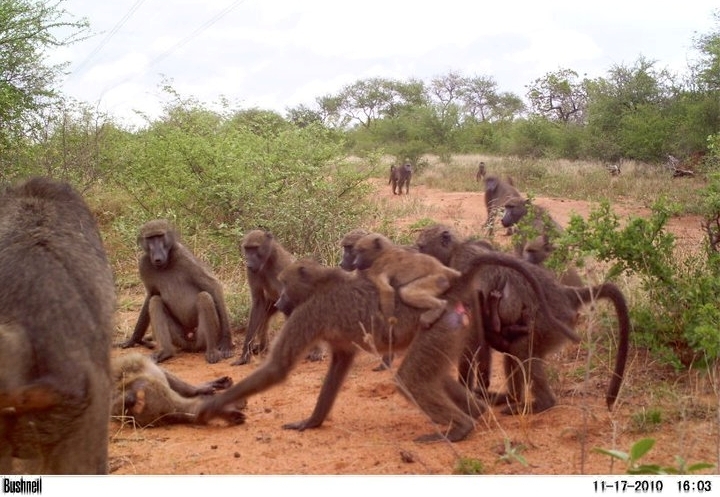 One or two cameras were reserved for the random events: a fresh kill, old carcass, or hunches about certain water holes or koppies (rocky hills). My job was to trundle around the reserve, mostly on foot, searching for signs of leopard. Looking for tracks and scats on the network of sand roads was easy and for the most part it seemed these big cats do love a nice clear road to walk down. Wandering down a dry river bed following a set of tracks idly wondering if the leopard is asleep in one of the big Marula trees is one thing, but suddenly realizing that the pug marks seem to have doubled in size and that you are hot on the trail of two lions jolts you to a stop. Finding signs off these roads was a little harder, the substrate of the game trails was often tangled with grasses and small thorny bushes and picking up tracks was virtually impossible. Half an eye was always on the sky watching for vultures. Their activity often led to carcasses but it was the sense of smell that served best. The smell of rotting carcasses is fairly potent and travels far and my nose became super sensitive to the whiffs. Unfortunately not having the skills of a bloodhound I would flounder around in the bush turning this way and that trying to pin down the source of the smell. 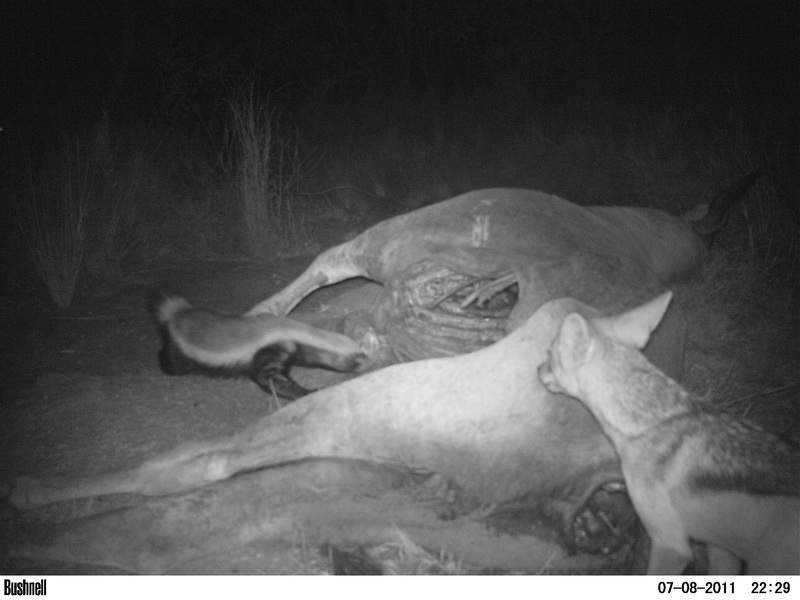 Other than spending just a little too much time around dead things, camera-trapping carcasses lead to some great data. One surprise was just how often kills seemed to be ‘shared’. The following two shots from the same eland kill highlight this. You can see even without comparing spot patterns that these two leopards are different. The first is a young female and the second is the reserve’s dominant male so it’s hardly surprising that he has stolen her meal. At other kills, though, we had various combinations of leopard visitors including three different adult males within two nights to the same zebra kill. 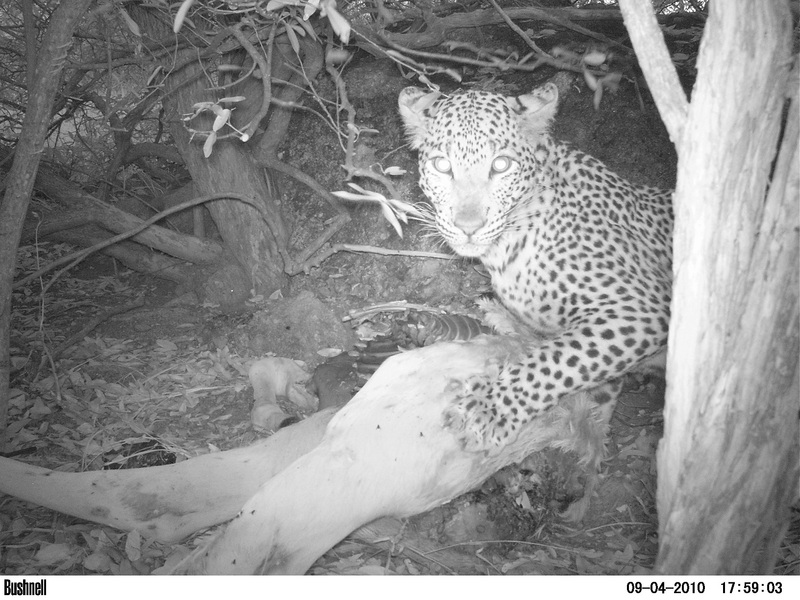 The fact that the leopards stayed put in front of the cameras, munching, meant we managed to get shots from every angle, which helped a lot in putting together ID charts. 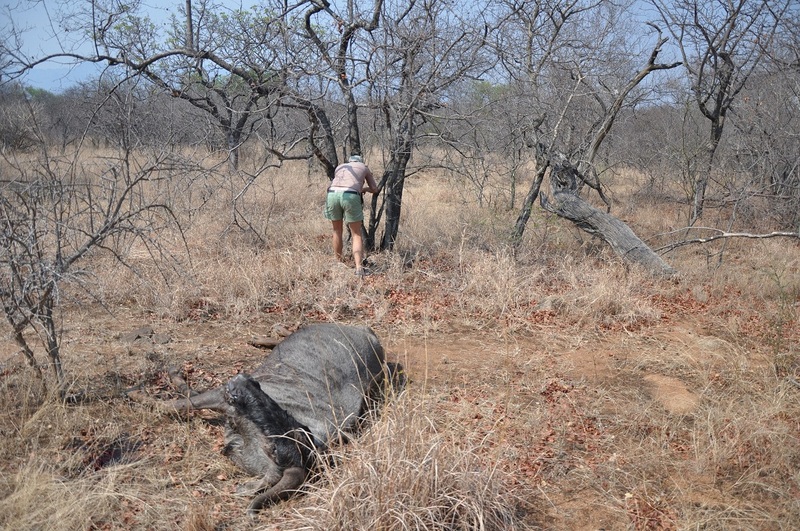 At no time did we tie down any of the carcasses so clearly the leopards where not fazed by the cameras. 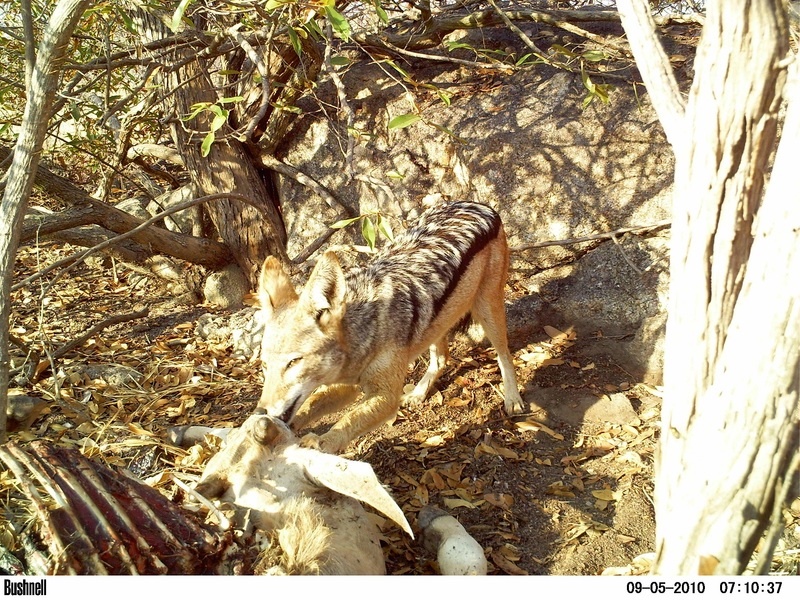 This following shot shows a jackal at the same eland kill. The leopards on this reserve where under very little pressure from lions, which only passed through occasionally. They hardly ever resorted to stashing kills up trees as leopards in areas of high lion density would. This meant that many smaller mammals took advantage of the leftovers. 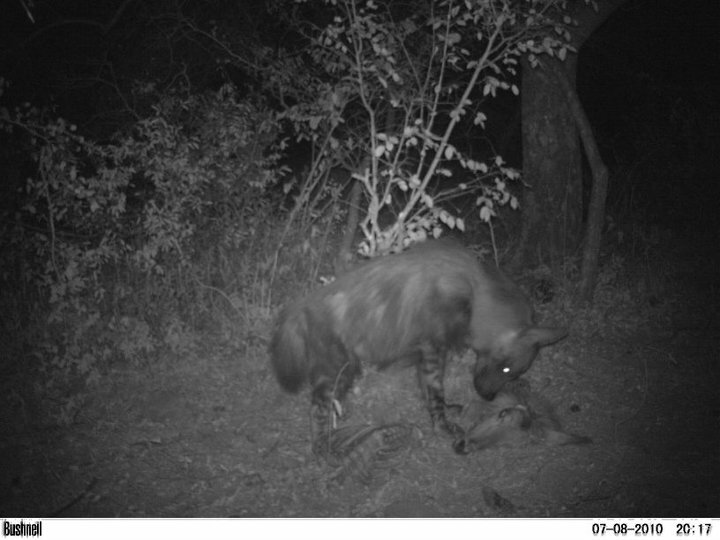 Other than the obvious spotted hyena, we recorded brown hyena, side-striped and black-backed jackal, honey badger, civet, bush pig, and mongoose. This following shot looks harmonious, but the series shows that the honey badger definitely had the upper hand on the jackal. The one thing that fellow researcher, Michele, and I were always aware of was that we were spending a lot of time in places that big cats also spent a lot of time. When you are setting up a camera on a fresh kill you can’t help but wonder if the killer is laying somewhere close watching you! Check out the time stamps on this next set of pics to illustrate this point!